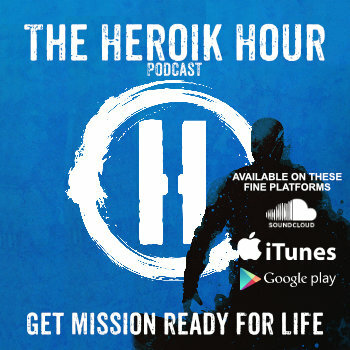 We’ve started an exclusive community for Heroik Insiders to gather, engage, collaborate, and continue their journey. AND we use this community to find and refer to our featured guests, contributors, collaborators, vendors, and so on for our professional projects and productions. If you’re interested – READ ON! In this introductory offer, you’ll get access to amazing resources and an exclusive professional community. Collaborative Environment – We use the best private communication tools on the web. Exclusive Channels – Enjoy a hand-picked group channel, a trusted environment without competitors, so you can keep it real. Non Solicitous Relationships – No direct selling by members, just sincere collaboration and relationship building. Trust us, success will follow. Get on our Referral Network – We refer people we work with, know, and trust. Get Featured – We reach out community members to guest on our podcast and guest blogs on multiple sites across our media network. 20% Off The Heroik Store – Get the insider discount on Heroik Downloads, Resources and Gear. Work With Us – The most engaged users will receive exclusive opportunities to collaborate on Heroik Projects in our Innovation Lab. Sneak peaks at upcoming products, projects and events – See what we’re working on and get first dibs as it launches. Backstage content and insights – Learn more about how we develop customers, tools, culture, tech, leadership, and community. Mobile Reach At a Moment’s Notice – Our community is at your fingertips and viewable from any Internet browser or smartphone.